In music as well as politics, there is something marvelous in the human capacity to embrace bad ideas that jibe with one’s personal experience or taste. I’ve been thinking about this since last weekend, when I attended a pair of concerts devoted to the music of my favorite composer, Billy Strayhorn, at Jazz at Lincoln Center (JALC). The bad idea in this case is the Hall of Fame established by JALC as one of its means of institutionalizing jazz—that is, freezing the music in historical time by formalizing a canon of great works and their composers, the Dead Black Men of America’s great indigenous alternative to classical music. The very notion of a Jazz Hall of Fame is so corny and archaic that it deserves to be included in the Hall of Fame of Halls of Fame. Of course, I found myself warming up to the idea this weekend, because the composer I love best was inducted into it. With Strayhorn involved, I saw honor in recognition I would dismiss in any other case, cause for cheering when I would ordinarily snort and huff. In the absence of footage from the JALC shows, I am posting here a historical clip of Ella Fitzgerald performing “Something to Live For” with the Ellington Orchestra at Cote d’Azur in 1966. (Fitzgerald’s pianist Jimmy Jones is filling in as musical director and pianist, to Ellington what Goines was to Marsalis.) Fitzgerald, whenever asked to name her favorite song, would invariably say, “Something to Live For.” (She frequently misattributed it to Ellington, though she no doubt knew it was by Strayhorn—indeed, it was composed and performed by Strayhorn in Pittsburgh several years before he and Ellington met.) Strayhorn, present in the audience at Cote d’Azur but not visible in this clip, was already gravely ill with cancer and would die within a year. 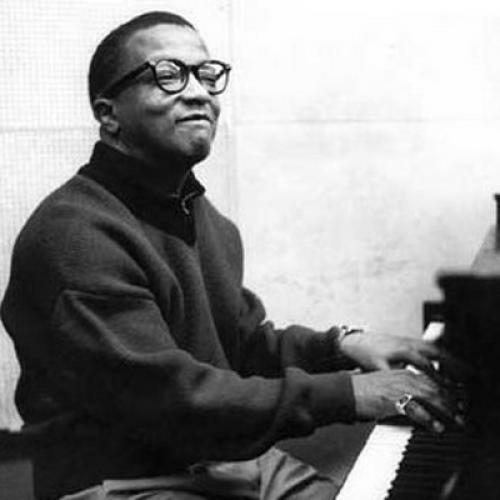 Listening to this work again, I was taken in, as I’ve always been, by the overflowing emotionality of Strayhorn’s music, and I remembered a story I was told by an man who came up to me after a reading I did from my biography of Strayhorn, Lush Life, a few years ago in Boston. The fellow said he had been a GI in the late 1950s and had hitchhiked one weekend from Fort Dix, in New Jersey, to the Newport Jazz Festival. He had made a sign that said “Newport” and held it up at the George Washington Bridge. A car pulled over to pick him up. The driver was Harry Carney, the baritone saxophonist for the Ellington Orchestra. Duke was sitting next to him in the front seat, and Strayhorn was in the back, where the GI took a seat. For the next couple of hours, Carney and Ellington chatted and joked, while Strayhorn sat quietly in the back, gazing out the window. After a while, at some point in Connecticut, Ellington opened up a lunch bag, pulled out a couple of sandwiches, and asked who wanted one. The GI declined. Carney and Ellington kept up their chatter. Strayhorn remained silent. A while later, Ellington reached back into the bag and pulled out a bunch of bananas and asked if anyone wanted one. At that point, Strayhorn turned away from the window, looked at the GI, and said, “It’s good that you love the banana.” Apart from cheap Freudianism, I think there’s something in this story, and it has less to do with bananas than with love.